When buying offshore real estate, your choice of city is perhaps even more important than picking a country. Real estate markets are driven by local factors like employment opportunities and housing supply. Because of that, a nation’s broader economic data usually isn’t relevant to property market performance in one of its cities. For example, if you purchased a luxury condo in Bangkok’s central core five years ago, your asset would have doubled in value. If you bought in Pattaya instead, you would now be facing a buyer’s market due to oversupply problems and weak tourist numbers. And neither of those results correlates with Thai GDP growth or some other general economic indicator. Returns will depend on the specific location you’re buying in. Of course, that doesn’t mean choosing a country isn’t important as well. Buying real estate in Malaysia will give you a ten-year renewable residence permit along with several additional perks. Likewise, foreigners can legally own land in places such as Japan and South Korea. Laws are determined at the national level while potential for profit relies on the precise city or neighborhood. We’re more interested in returns than residency here at InvestAsian. Granted, some investors enjoy the idea of owning land abroad. Or may want permission to actually spend time in a city they’re buying property in. Keeping all that in mind, here are the five best cities in Asia to buy real estate. They’re judged based on appreciation prospects, demographics, rental yields, and variety of options available to foreign investors. Bangkok is one of the world’s most visited cities, outranking favorites like London and Paris in terms of annual tourist numbers. Thirty-five million foreigners visit the “Land of Smiles” each year. Naturally, this means Thailand is often people’s first experience with emerging Asia. It’s probably no coincidence that surging Chinese tourist arrivals occurred at roughly the same time as rising condo prices and transaction volume in central Bangkok. The city quickly turned into Asia’s top destination for Chinese property buyers abroad. Thus, Bangkok’s property market is perhaps your most liquid choice in Southeast Asia because of its plethora of realtors and fresh flow of foreign buyers. Remember also: you aren’t just investing in a house or condo unit when buying offshore real estate. You hold a stake in the currency your asset is denominated in too. As such, it’s worth mentioning that Thailand’s Baht is among Asia’s best currencies lately. The baht has recently outperformed currencies frequently used as a storage as wealth such as the Singapore Dollar. Kuala Lumpur, while overlooked in favor of Bangkok, arguably has the region’s most open and competitively priced real estate market. In fact, foreigners are allowed to own freehold houses in Malaysia, making it Southeast Asia’s only country where non-locals can legally buy land under their own name. Foreign property owners can even get a long-term visa through the Malaysia My Second Home (MM2H) program. Malaysia is ASEAN’s third richest nation right after Singapore and Brunei. Therefore, you might guess that property in Kuala Lumpur is more expensive than elsewhere on this list. You can buy a luxury condo right in the center of Kuala Lumpur, Malaysia for around US$4,000 per square meter though – less expensive than Bangkok and about the same price as Manila. These factors make Kuala Lumpur one of the best cities in Asia for real estate. It’s certainly one of your most versatile choices. Malaysia’s lack of foreign ownership restrictions, good value for money, and having residence included is a full package. Cambodia’s capital is among Southeast Asia’s fastest growing cities. Due to strong urbanization and a healthy birth rate, Phnom Penh’s current population of two million will double by 2030. A steadily increasing population, along with Cambodia’s rising middle class and other growth drivers, equals greater demand for central real estate in the long-term. Phnom Penh’s finance district hosts more than a dozen global banks such as ICBC, Bank of China, and ANZ. Meanwhile, AEON Group from Japan recently built two huge malls out in the suburbs with each of them achieving 100% occupancy and several thousand visitors per day. AEON’s largest mall in Southeast Asia is located in Phnom Penh’s northern suburbs. The city is an emerging tourist hub as well. Phnom Penh International Airport reached more than 5 million inward arrivals in 2018, up from 1.7 million just a decade earlier. But despite obvious potential for appreciation and yields, prime real estate in Phnom Penh still costs below US$1,000 per square meter in many cases. Property values in nearby capital cities like Jakarta and Hanoi are beyond US$4,000 per square meter in comparison. Manila is already one of the biggest cities on the entire planet with over 24 million people living in its metro area. And it will only get larger. 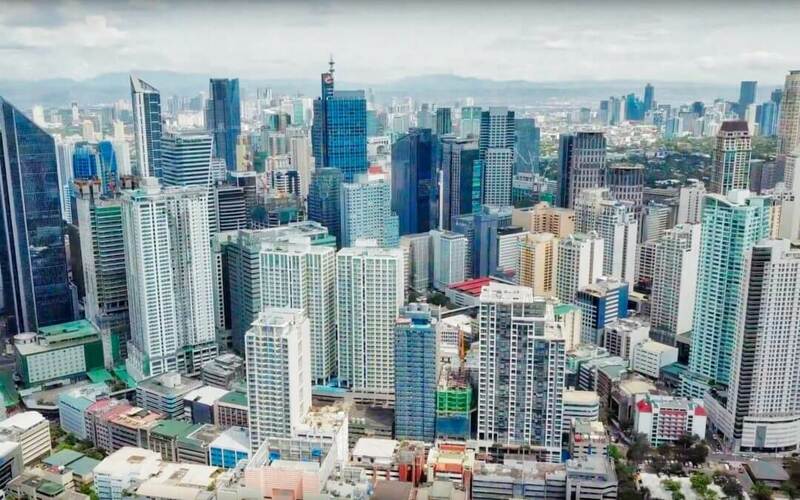 Manila is expected to have at least 35 million inhabitants by the year 2050 which should rank the Philippine metropolis above even Tokyo and Beijing. Similarly, the population of the Philippines itself will increase from 105 million to 150 million by 2050. This immense population boom will almost inevitably lead to higher real estate prices in the long term. Manila’s prospects are comparable to other cities on our list such as Kuala Lumpur and Phnom Penh. Yet a difference between Manila and its rivals is the city’s sheer size – both currently and regarding its future potential. Kuala Lumpur and Phnom Penh, while undergoing rapid transformation themselves, probably won’t become megacities or top global business centers anytime soon. Manila has the necessary weight to become a “Tokyo of the 21st Century” as implausible as it may seem now. A negative aspect of buying Manila property is lack of options available to foreigners though. You can own freehold condominum units in the Philippines as a non-local but aren’t allowed to purchase houses or land. 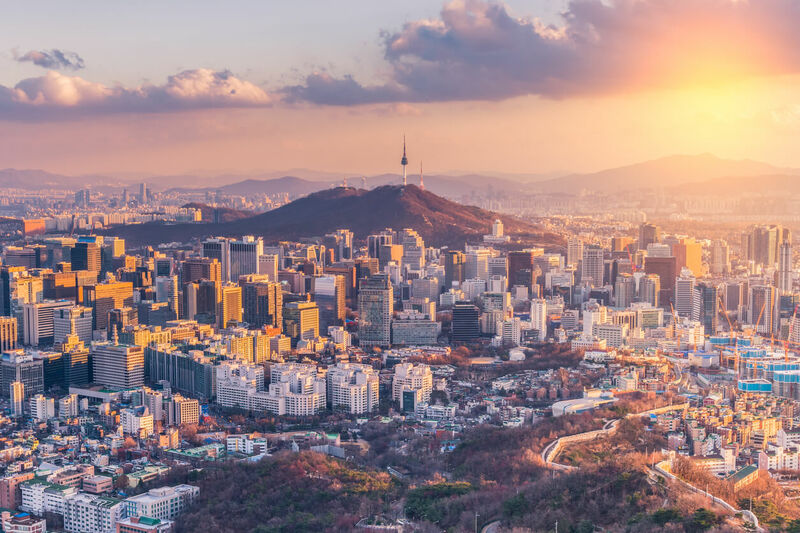 The sole East Asian city on this list, Seoul boasts solid demographics and foreign-buyer friendly laws in stark contrast to China and Japan. In fact, along with Kuala Lumpur, Seoul is one of very few capital cities in Asia where foreigners can own land and houses on a freehold basis. 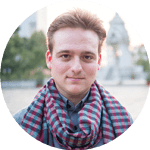 You won’t encounter any limitations as a foreign buyer in South Korea. Property in Seoul is fully-available to foreign buyers, is denominated in a stable Korean Won, and could see above average appreciation. Seoul is also the only developed city on our list. You will not get outsized returns here like you would in Manila or even Kuala Lumpur. Of course, it’s a trade-off in exchange for stability. With that said, Seoul enjoys far superior prospects compared to nearby Tokyo which will suffer from population decline throughout the 21st century. Korea’s population will not age anytime soon, and in general, its economy is stronger than Japan’s. Are you seeking yields or wealth preservation? If the latter, real estate in Seoul is a good blend of growth and safety. Yield-seeking investors should consider buying property in Asia’s frontier markets instead.